This restaurant is permanently closed. Aguaviva, opened in 2002, specializes in "Seaside Latino Cuisine" the freshest fish and seafood prepared with Latino - Caribbean flair by chef Hector Crespo, and fraturing an amazing ceviche and oyster bar in front of an open kitchen. Icy Cold Fresh Oysters $3 each - 2 or 3 varieties flown in daily, served with all the trimmings! 18 Oysters, chilled steamed Mussels and Shrimp and 3 small Ceviches of your choice! The staff was so energetic and friendly. You felt as if you were in good hands! Ceviche was fresh and delicious! Extremely poor service and lack luster food, We waited over 20 minutes for our check while the server chatted with another table - this was after asking for the check for the second time. 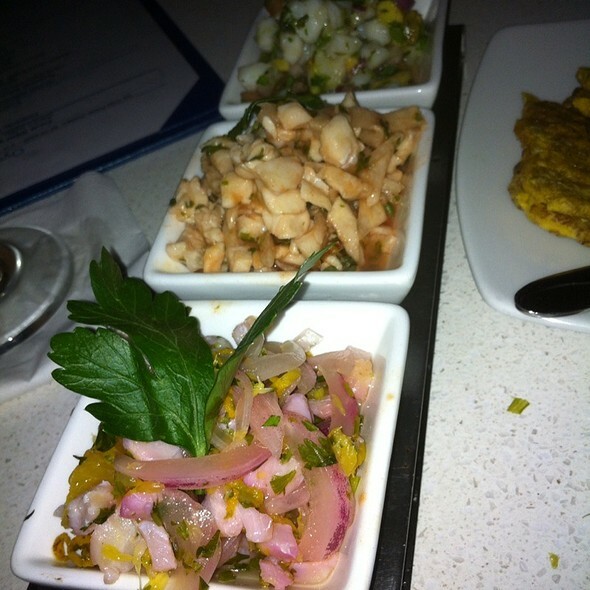 The food was mediocre, ceviche was bland and boring. Would not recommend. Billy our waiter was outstanding. We went here on our honeymoon and he surprised us with complementary champagne. The menu has a nice variety of food. Price is great. It sits on a beautiful small side street in Old San Juan. Just perfecto! This place does seafood great. I have eaten here several times and the whole fish is alway cooked to perfection! If you're in old town and craving seafood..this is your place. Unless of course, you want to find something not quite as good! Very disappointed in the food - the salt level was so high it was nearly impossible to eat. The noise level was so high I was more than anxious to get out of the restaurant. Our service was excellent. Based on the reviews, maybe we came on an off night. They seemed understaffed and even turned away customers despite having less than half the dining room full. Service was slow. Food was ok, but not worth the wait. The Mango ceviche dish tasted like they dunked it in Franks Red Hot sauce - like a Louisiana hot sauce. The coconut shrimp was on par with some pub grub you might get in the states. We opted out of getting entrees because the appetizers weren't too great. I'm generally skeptical of the places near the entrance to Old San Juan. They tend to be tourist traps. This fell into that genre for us. But, like I said, they seemed understaffed, so it could have been an off night. Our experience at Agua was nothing short of amazing. I would absolutely return. Had a great evening with very welcoming staff. The ceviche platter we ordered was very tasty. 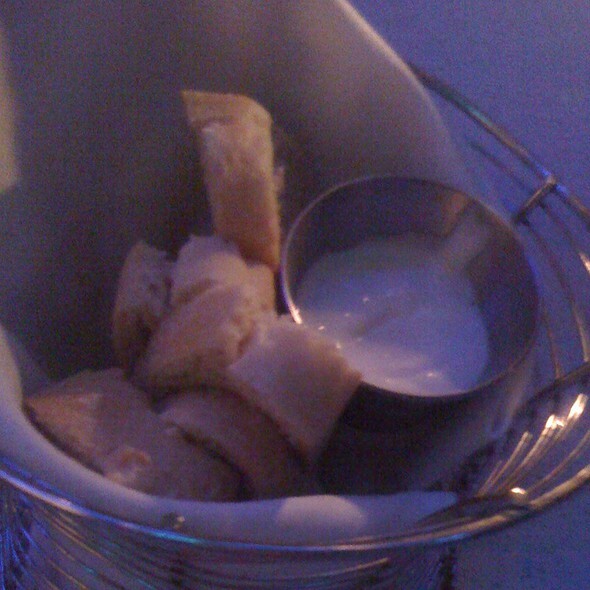 Great bread and garlic butter. 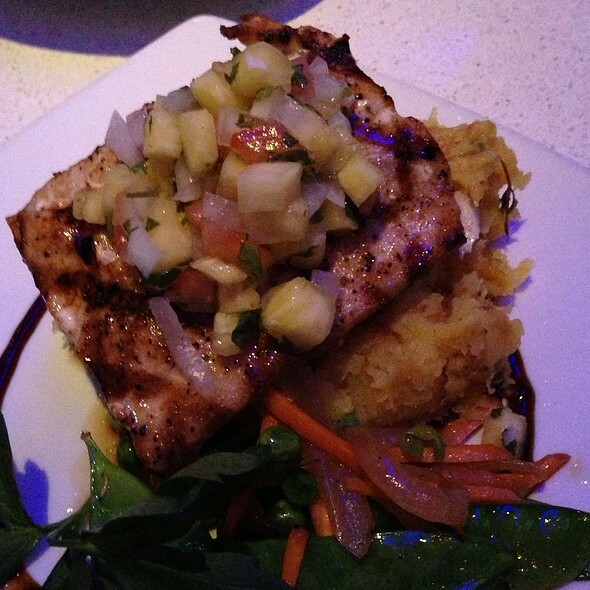 Our entrees were mahi mahi and branzino with mashed apio plus steamed veggies. We had a bottle of Sauvignon Blanc. From the minute we walked in we were treated like VIPs. Our waiter Jorge Madera and his assistant Steven were outstanding and went out of their way to make the evening special including asking the kitchen to make some special side dishes just for us to try. We highly recommend Aquaviva to anyone visiting Old San Juan. Excellent seafood with delicious Puerto Rican side dishes. Came back after 14yrs for our 15th wedding anniversary. Service and food remain excellent. Decor and vibe not as bright and alive as it was in 2002. Really nice date with great service and excellent food. Loved our stop during our Apr 2017 vacation to San Juan. The coconut shrimp and sea scallops were amazing! The creme brûlée was also on point! 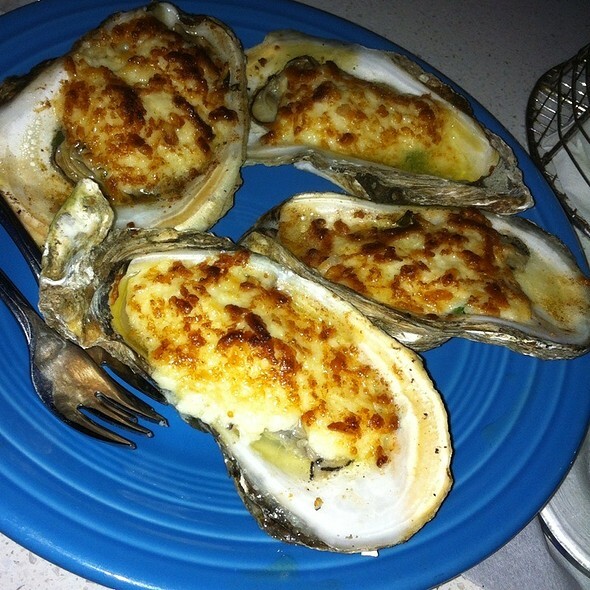 To top off all the great local seafood was some of the best service we have received! Additionally, we were never rushed, we felt like their goal was to make our evening great! Great staff. Food was good not mind blowing but good. We celebrated out 35th wedding anniversary here. The food and service were both exceptional. What was even nicer is we were able to relax and enjoy ourselves and never feel as though we were rushed. Food was very disappointing but the service was excellent. Good dinks. Puerto Rican seafood at its best. The service was slow, but that was my only complaint as dinner took over 2 1/2 hours. The oysters, the cocktails and the dessert were ok. But the worst was the terrible wait. 45 min for the first course to arrive. 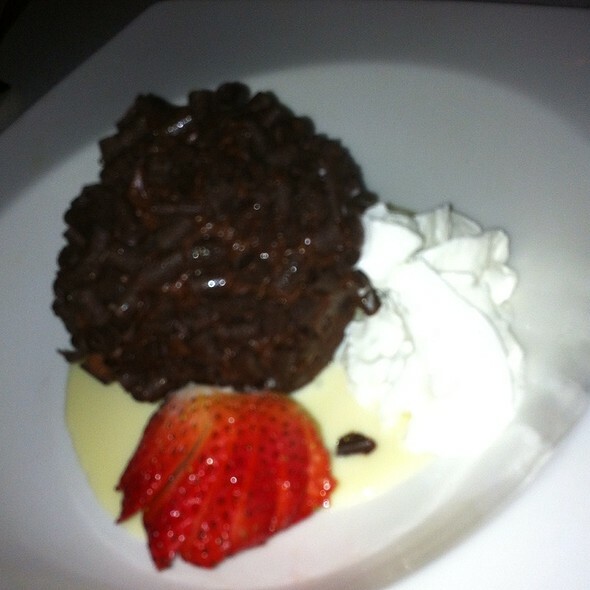 Another 30 min for dessert. Simply beyond annoying. 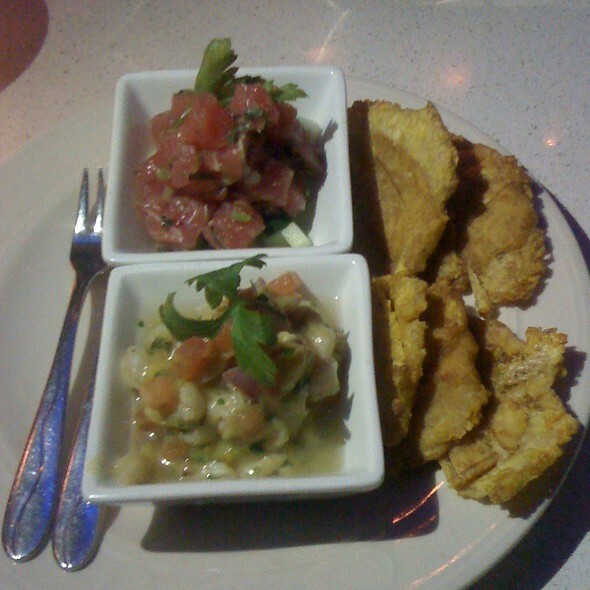 And on top of that, the ceviche, which should have been the highlight of our dinner, was tasteless. Overrated and overpriced. We were disappointed. The food was not as good as the reviews indicated. The service was very slow, and the prices were very high. The ambiance was a bit claustrophobic. We would not recommend and would not return. This place has a decent menu but they have to get their act together with service---slow, slow, SLOW!! Plus, not a good place to go if you don't want to smell like the kitchen when you leave. Finally, server Diana was rude, rude, rude. Had read reviews online and decided to try - sorry we went. Food was mediocre; overly salted calamari, watered down watermelon sangria. Waiter forgot to put in our main order, came over politely apologized and then we waited an additional 30 minutes before dried out rare tuna and cold coconut shrimp finally came. Never even saw the rice and beans we ordered. Skip this place and go elsewhere. Too many other fun places in Old San Juan to try. Food was excellent, from appetizers thru entrees. 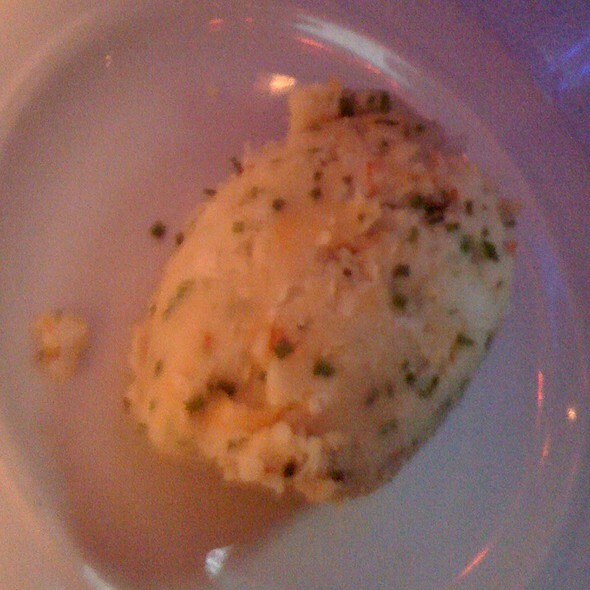 The whole fried flounder was perfectly deboned with an excellent Puerto Rican stuffing. Enjoyed the ceveche. Average restaurant. For appetiser, we ordered a fresh red snapper and avocado. More avocado than snapper. 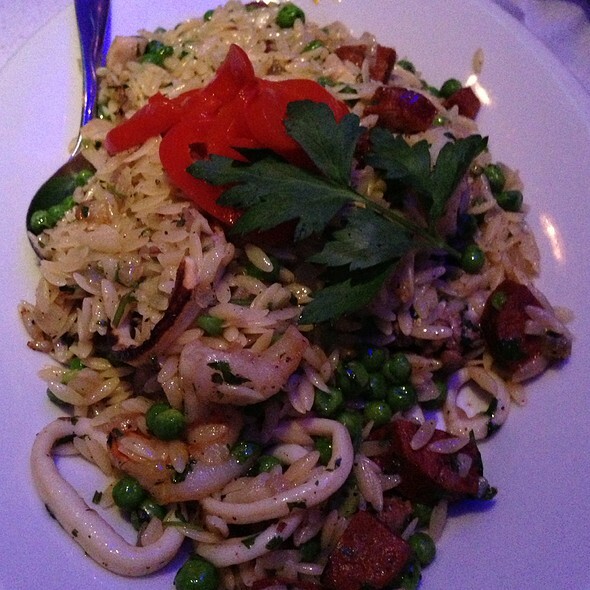 As main plate we had signature an orzo paella. Taste was average, portion was generous, not too much seafood. Our server was fantastic. Made great suggestions. We had the calamari, coconut shrimp and grilled oysters for appetizers. All great choices. Dinner was also delicious. We had the steak, tuna and salmon. Will definitely be back! Something wasn't right in the kitchen the night we went. The food itself was excellent but took forever. 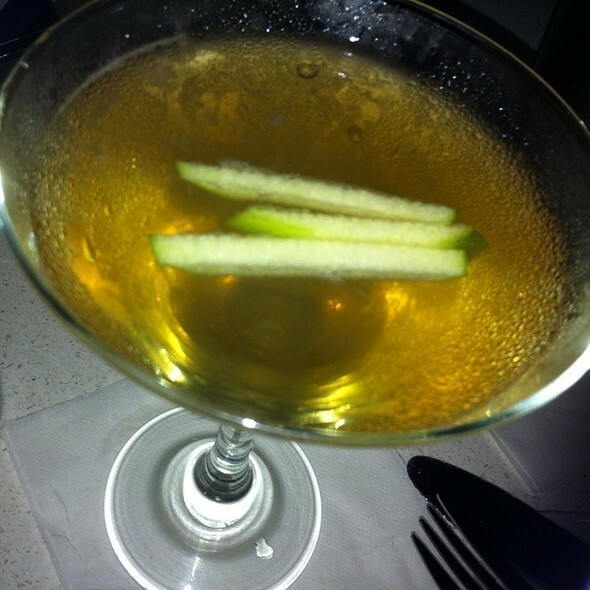 However, the staff apologized profusely and comped a round of drinks and dessert in recompense. Would definitely go back. Snapper and Mofungo! Great spot in Old San Juan. Will return. Had never been to "old town" San Juan, PR. Restaurant was lively and fun for a Saturday pm.... food delicious and our group from Seattle had a lovely waitress. Great dining experience. A little loud but FUN. Very nice bartender too while I waited for our group to arrive. Terrible service, ambiance, and could not eat two of three meals. First night of vacation. Table wasn't ready at appointed time. Very noisy. More than an hour passed from giving our order to being served appetizers. So with an 8:30 reservation, we first put something in our mouths after 10 pm. We were only served after I nearly begged the waitress for food. She was terrific, but the kitchen/managerial staff were atrocious. Because the restaurant has an open concept, we were able to watch the frustration of the manager and cooking staff as each wildly gesticulated over the delays. The food was good, but certainly not worth the aggravation. I wish I had paid closer attention to the other reviewers. We have been going here for years for their ceviche and fresh seafood. The quality and service has always been good but this recent visit was better than ever! The best seafood in Puerto Rico! Outstanding service, loved everything. truly excellent seafood. Creative and very tasty ceviche. A place for seafood lovers. Very uncrowded, just a few steps away from thy busy area of San Juan harbor.